The Matthiessen series now has two leg profile options. Shown here is the new streamlined leg in ebonized and limed white oak with dark chocolate English bridle leather sling. 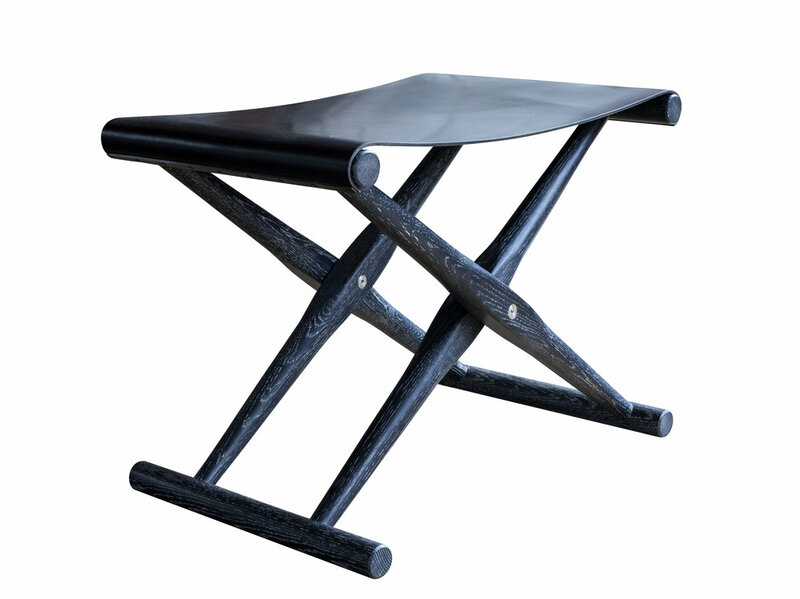 The Matthiessen Folding Stool can be made to custom dimensions.